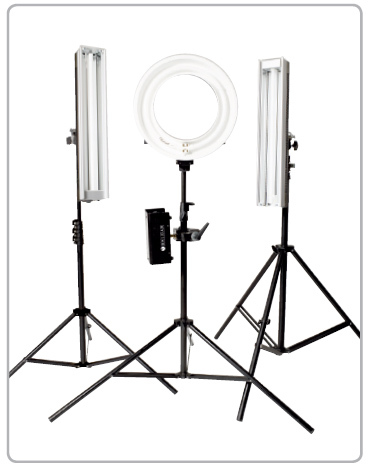 Balcar have announced the Reporter Kit, a portable continuous lighting system. Press release: In 2008, BALCAR launched a new generation of low consumption ENG lighting: the ROUNDY and the MONOLITE. With an unrivalled experience in fluorescent technology, BALCAR is today proud to announce its new REPORTER KIT for both cameramen and journalists. 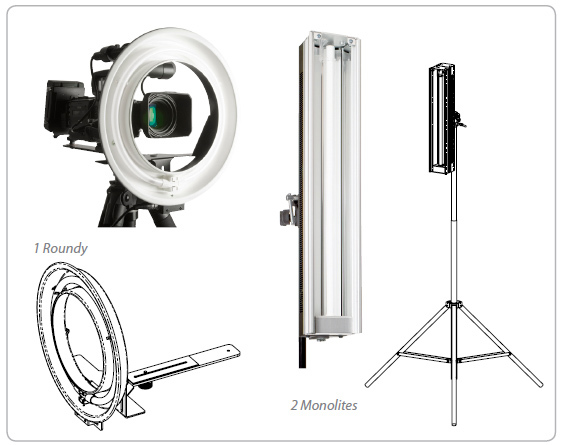 An ideal solution to create a powerful light alongside the optical axis of your camera. Thanks to the benefits of its fluorescent lighting, the Roundy light produces a direct lighting without any shadows or hotspots which are the two typical drawbacks of a standard ENG lamphead. 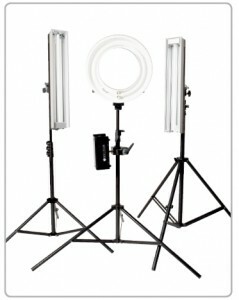 The ROUNDY is perfect for interviews, advertisements, travelling, clips, fiction and steady shots. The ROUNDY is mounted on the camera shoe or onto its main arm and offers a wide range of movements. The BALCAR ROUNDY is the most powerful ring-light on the market: the 55W power allows a wider choice of f-stops thus a much better control of the depth of field. You can adjust the intensity of the light with the built-in dimmer to preserve the atmosphere, without any change of the colour temperature. The Balcar Reporter Kit will be available by the middle of June at a recommended retail price of € 1,895.00 including VAT. For more information, visit the Reporter Kit product page.